The unrest comes ahead of a planned UN conference on possible new elections. 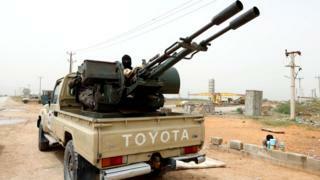 Violence and division have riven Libya since long-time ruler Muammar Gaddafi was deposed and killed in 2011. UN envoy Ghassan Salame said on Saturday that the conference planned for 14-16 April would still be held in time, despite the escalation - "unless compelling circumstances force us not to".